I didn’t actually mean to make this skirt. Which is a bit weird but is sometimes what happens during the creative process! 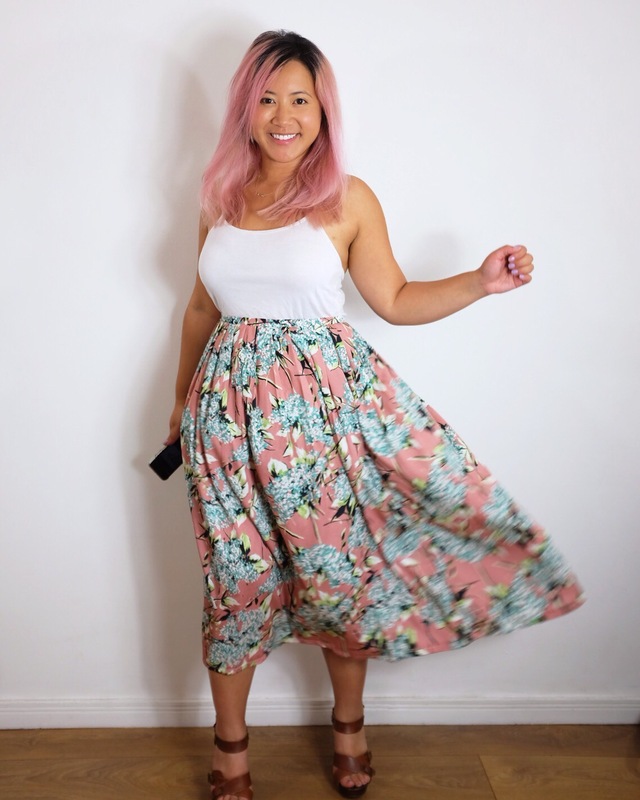 I’d initially planned to use this pink polyester crepe fabric for a hack of my much beloved Sabrina dress from By Hand London but after much flapping about, I knew it just wasn’t going to work how I wanted it to. I’d already pleated loads of fabric though so I had to use it for something! This fabric had a lovely lightness and drape to it. It needed a simple design to show it off! 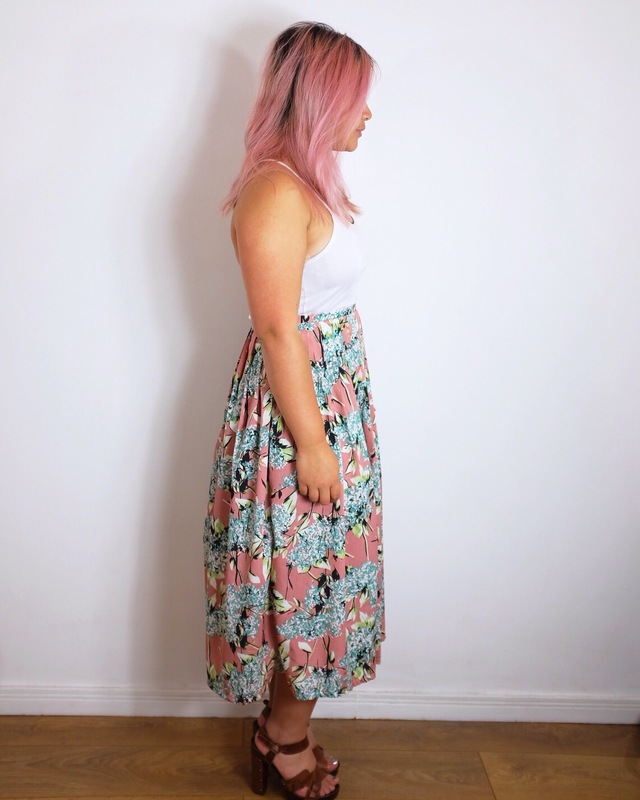 I ended up making a super simple midi length pleated skirt – essentially rectangles with pleated on one end and a waistband! I used two ‘widths’ of the fabric, one as the front and one as the back skirt. The back skirt, I cut into 2 to allow for a centre back seam. (If you don’t mind a side seam, I’d just use 2 wide panels). For each panel (3 of them), I created knife pleats all along one edge and stay stitched these as I went. I made a skinny waistband with measurements from my natural waist + a little ease + seam allowance for the zip. 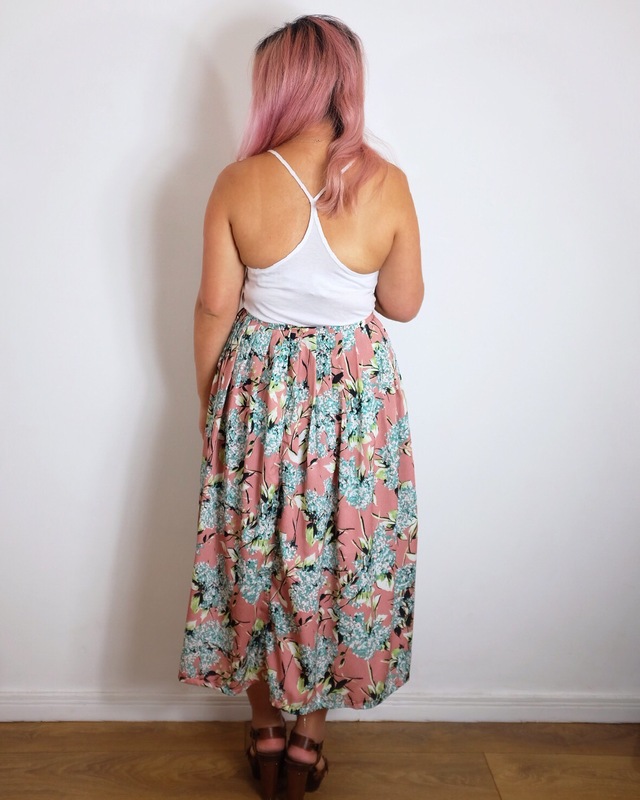 A quick sew to put the waistband and an invisible zip in the centre back and ta-da! A skirt! I’ve got a little bit of this fabric left over so I think I’m going to make a little camisole so I could potentially wear them together to make it look like a dress! I like these moving shots! Hopefully it kinda shows how the fabric flows! I always wondered if that fork thing really works! Looks great!